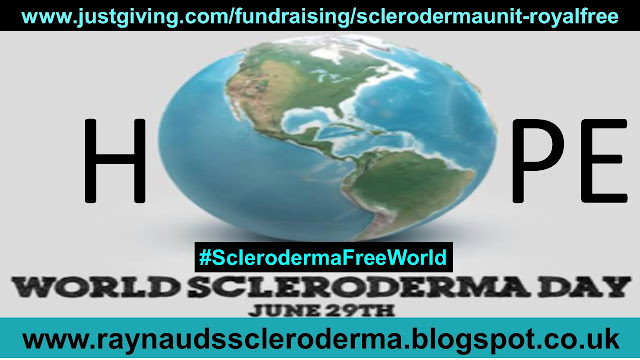 Early diagnosis is crucial to prevent life threatening damage to the scleroderma patient. 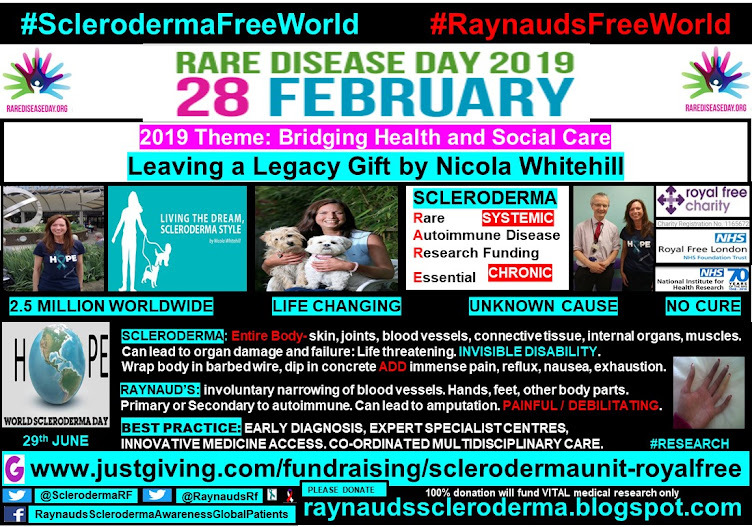 For, if the disease has progressed to a level causing irreversible damage, even a stem cell transplant or organ transplant (for the most severely affected patients), may not be an option, to this type of patient. 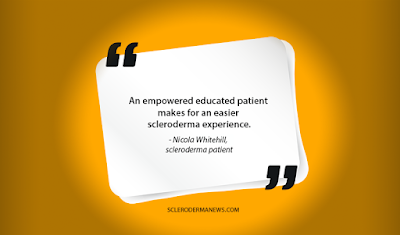 And, no two scleroderma patients are truly alike with the symptoms, which they present. 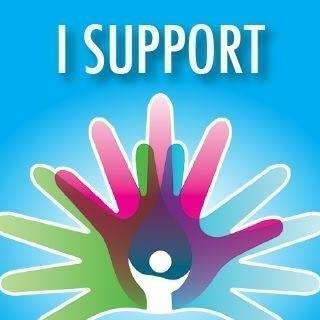 Early diagnosis is also important in reducing the life changing disability which the symptoms could cause. 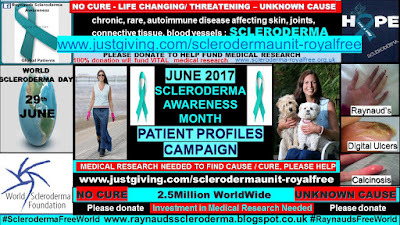 As, early medical intervention to stop the disease from progressing through the body is extremely important to prevent long term effects. 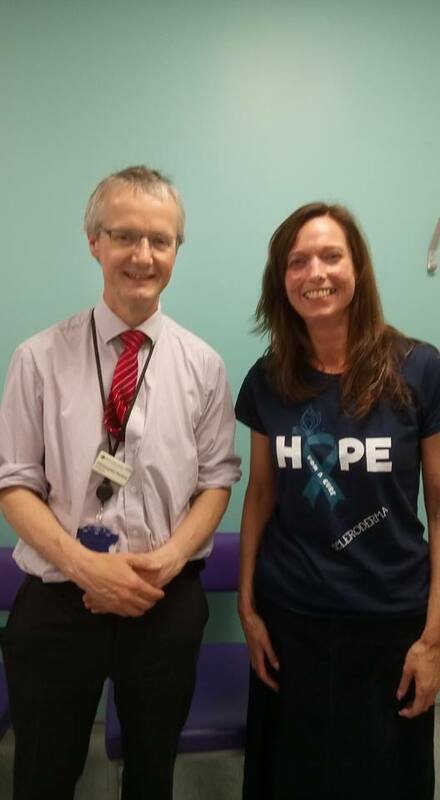 The ‘Early Diagnosis’ requirement is a hallmark for all rare diseases, with Expert Specialist Centres shown to offer the best practice care. 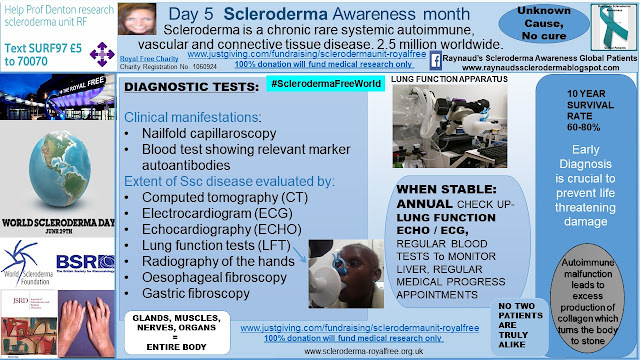 A combination of several diagnostic tests must be carried out to confirm a positive scleroderma, systemic sclerosis diagnosis. 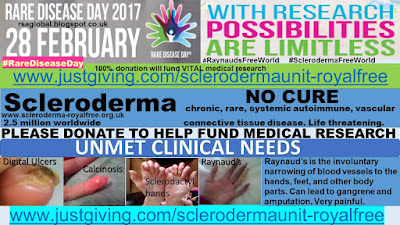 The results of which, will indicate the type of scleroderma, Day 1 as well as, the level of internal organ damage, if any. 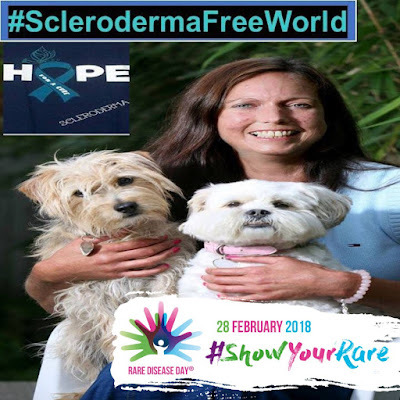 These results will then determine the best practice patient care for that individual, including treatment options, if this is still a viable option for the patient. 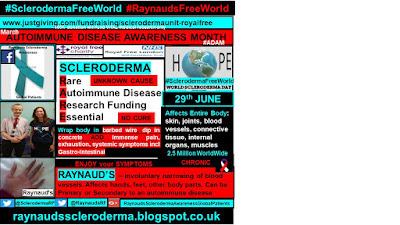 In the UK, my diagnostic journey commenced with me arriving at the GP surgery, presenting with swollen, puffy fingers which were painful and stiff, along with difficulty with swallowing, dry mouth and an overall feeling of exhaustion. 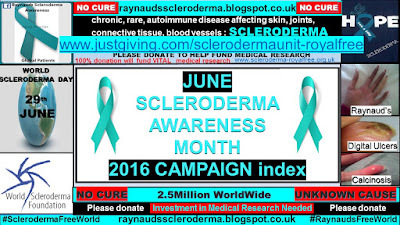 Day 4 Scleroderma Awareness Month 2016. The initial blood test taken by my General Practice nurse, revealed no abnormalities, however, a further more specific blood test, focussing on circulating autoantibodies and in particular the Scl-70 autoantibody, returned a positive test. 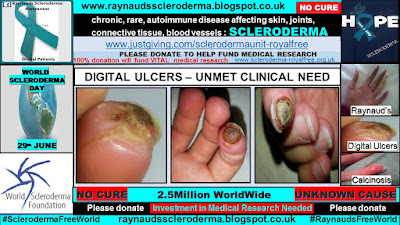 The ‘scleroderma patient’ experience began, September 1997. 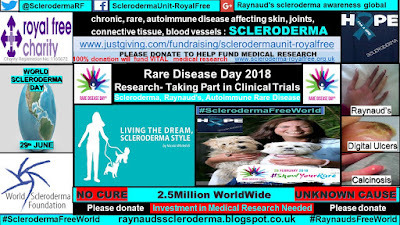 I was then referred to my local Consultant rheumatologist, who gave me a 15month prognosis, and more devastatingly to me, as I did not believe the prognosis- to give up on my dream of being a barrister. 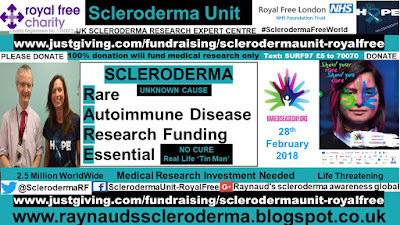 The following year, December 1998, I went to see Prof Dame Black and Prof Denton, at The Royal Free hospital in London, who then became my medical team, and to whom, I am eternally grateful for their expertise and dedication at keeping me around, enabling me to realise my childhood dream on March 1st 2004. 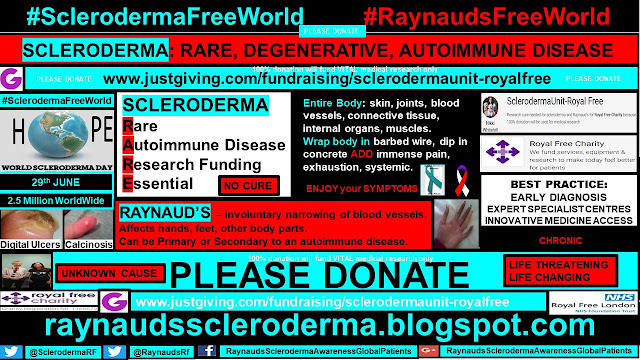 On this date, I ceased the daily 2g chemotherapy regime of the previous 7 years. 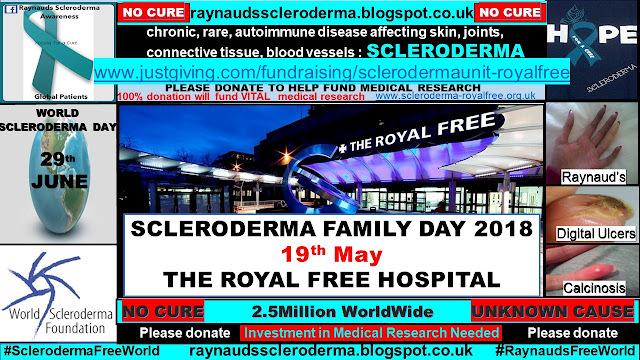 As a ‘long term’ patient, it has brought huge comfort to me over the years, that I am under the care of one of the World’s leading medical experts in scleroderma, Prof Denton. 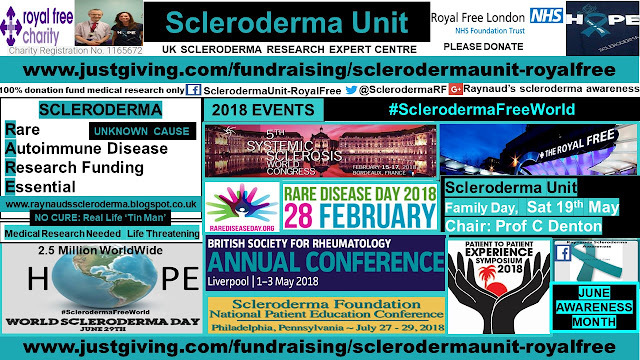 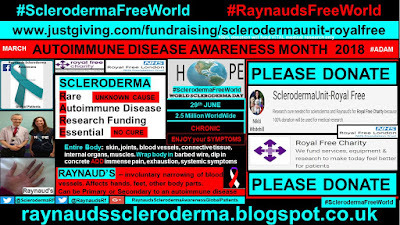 It is however my pleasure, that my professional advocate skills are now being put into use by way of being a professional expert patient for scleroderma, Raynaud’s and rare disease overall. 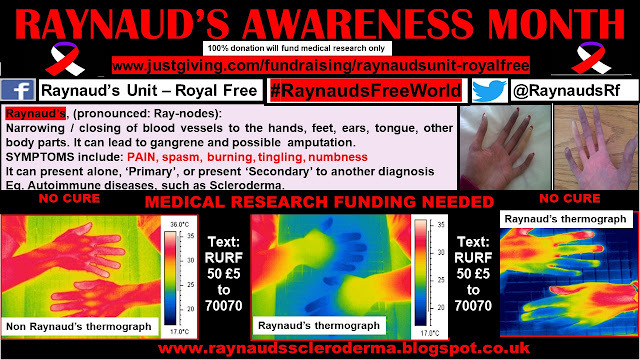 ~ living the dream, hoping for a cure. 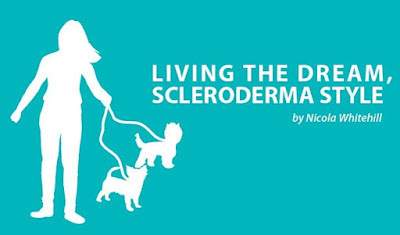 This article was originally published here in my Column with Scleroderma News.